It has been said that the eyes are the windows to the soul, and they are often the first thing other people notice about us. Your eyes and the surrounding area, convey every feeling and emotion you experience, contributing to the way people interpret what you are trying to convey. Unfortunately, as we age, the eyes often show the most significant signs of aging. Luckily, eyelid surgery can treat these signs and get you back to looking like your best self. 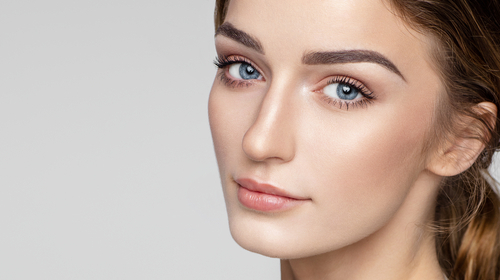 What is Blepharoplasty (also known as eyelid surgery)? Blepharoplasty is a surgical procedure, also known as eyelid surgery that is designed to improve the appearance of your eyelids. Eyelid surgery can be performed on the upper, lower or even both eyelids. Lower blepharoplasty is performed to correct puffiness and bags under your eyes that can make you look worn out. It is done by reducing the excess skin, reducing wrinkles and improving the shape of your lower eyelid by carefully cutting out the obtrusive skin and fat. Sometimes tightening the upper eyelid may be recommended as well to help correct droopy sagging skin, or impaired vision. This procedure can improve your vision while giving your eye a more alert and youthful appearance.